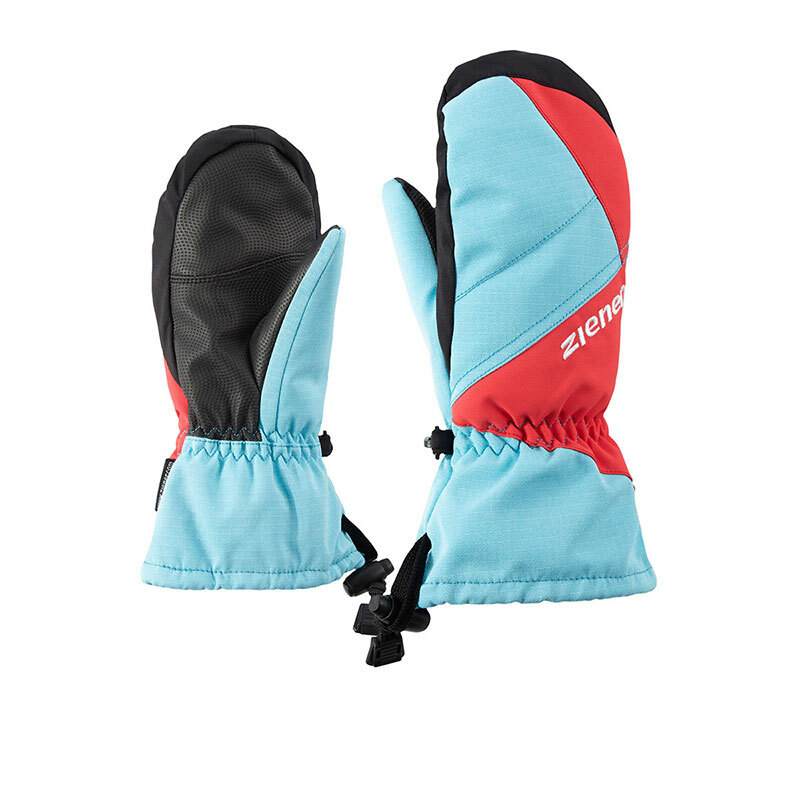 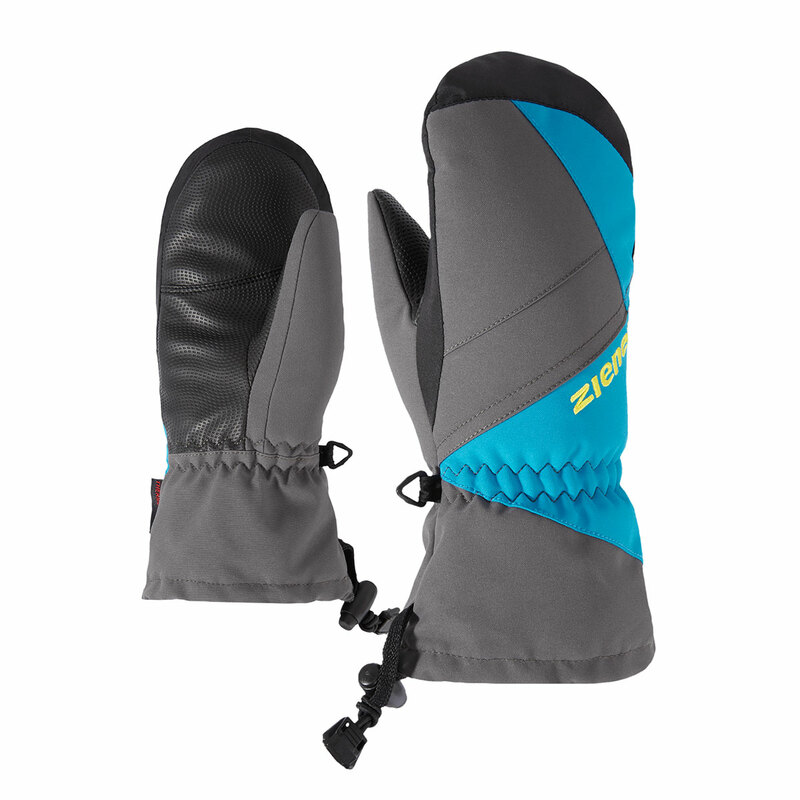 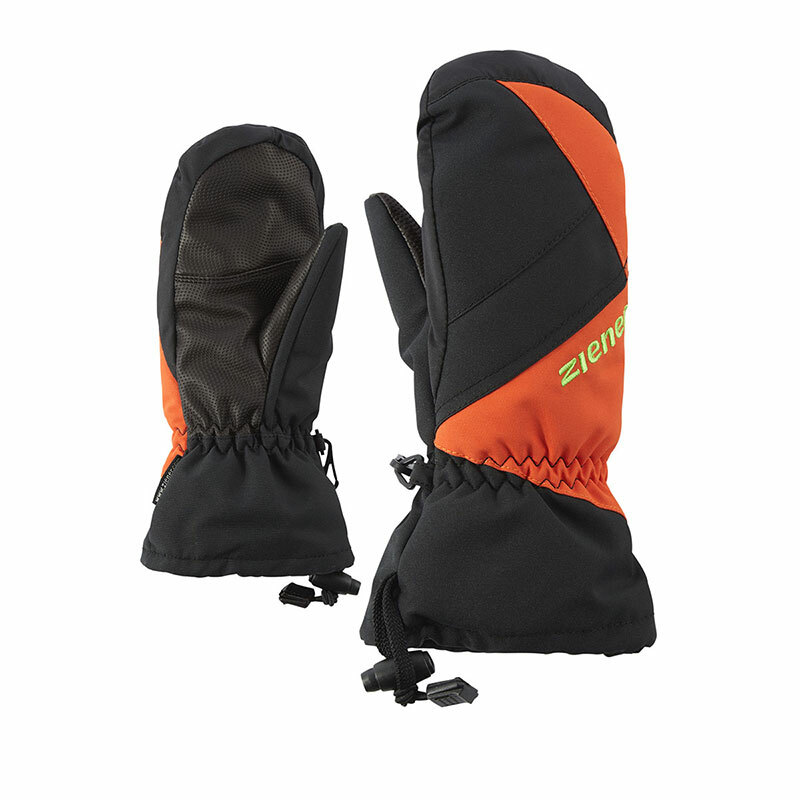 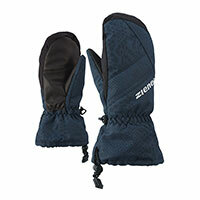 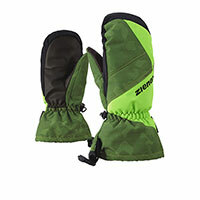 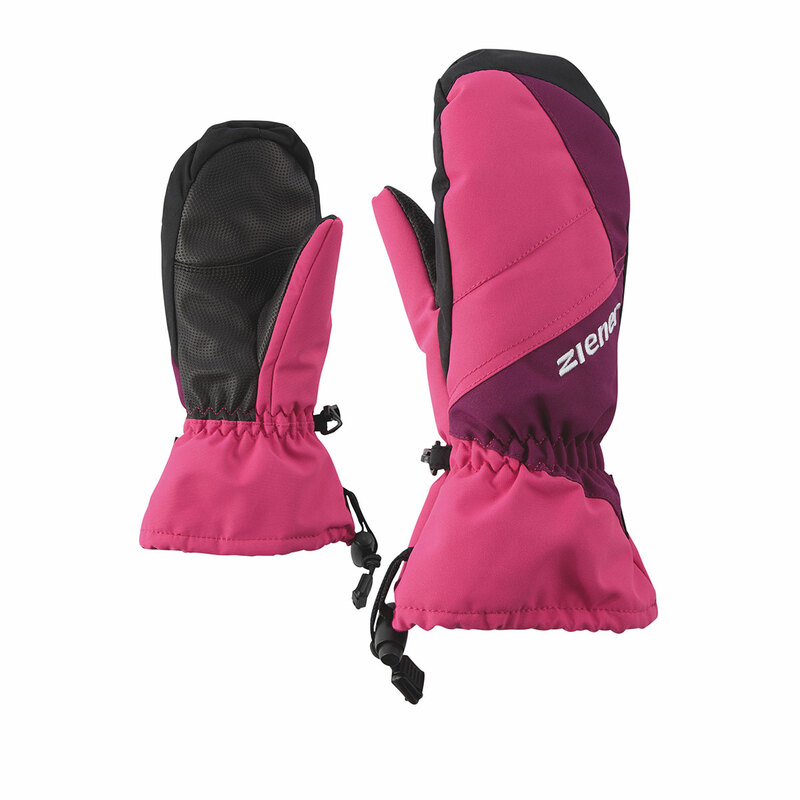 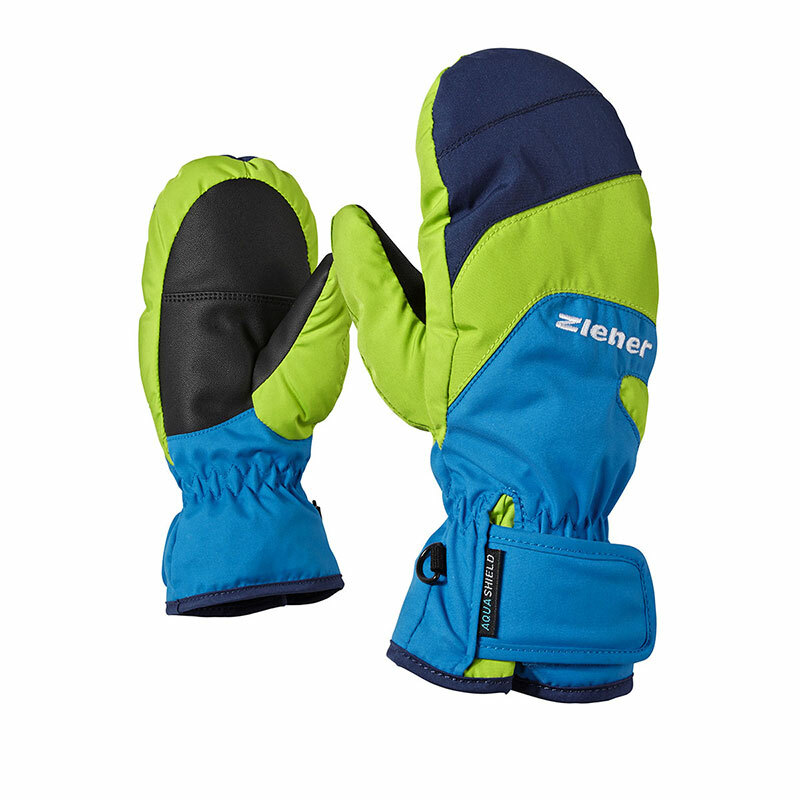 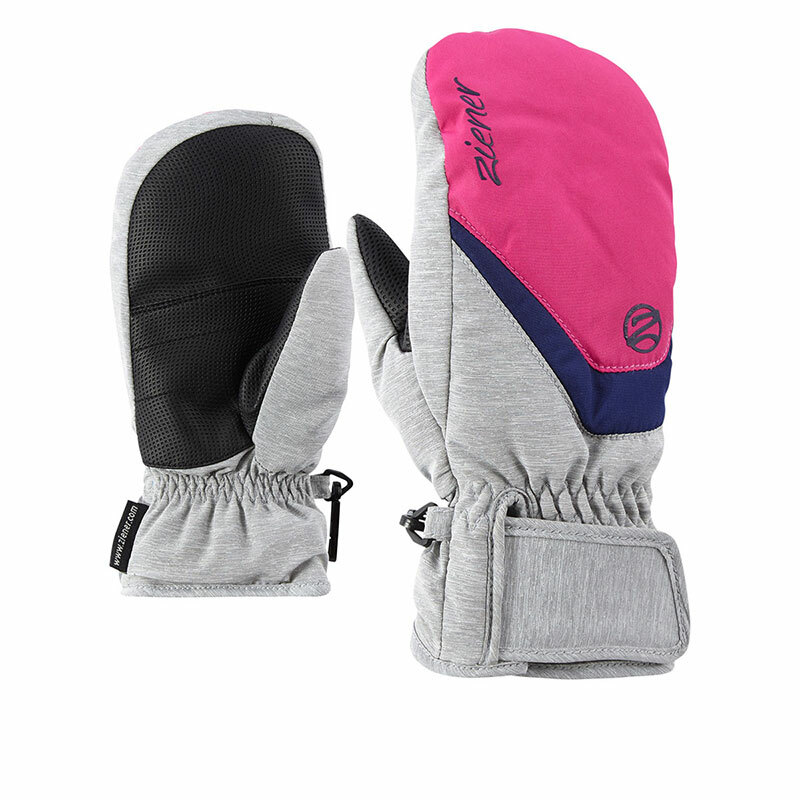 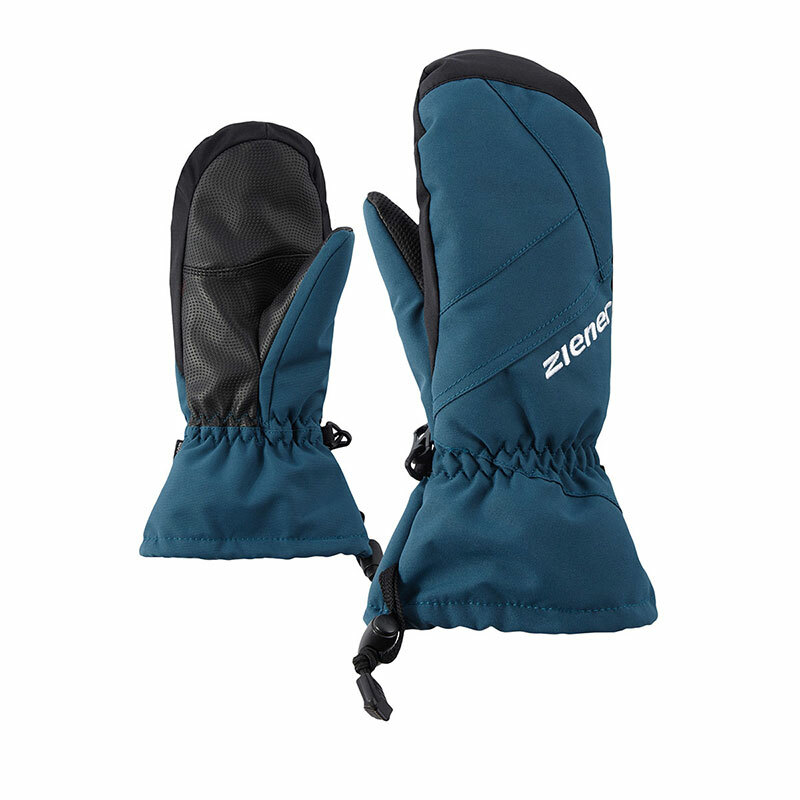 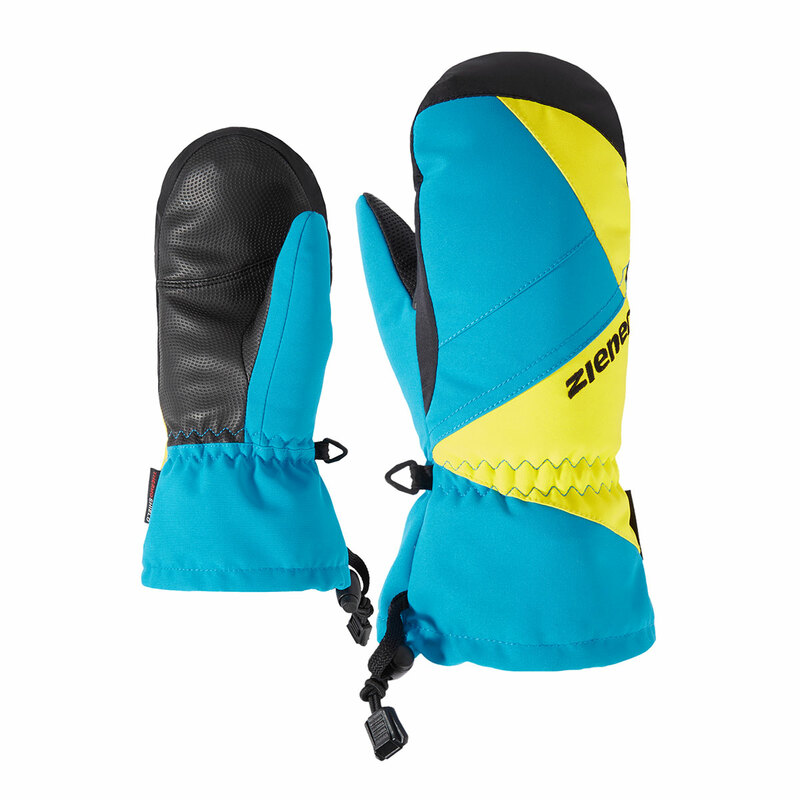 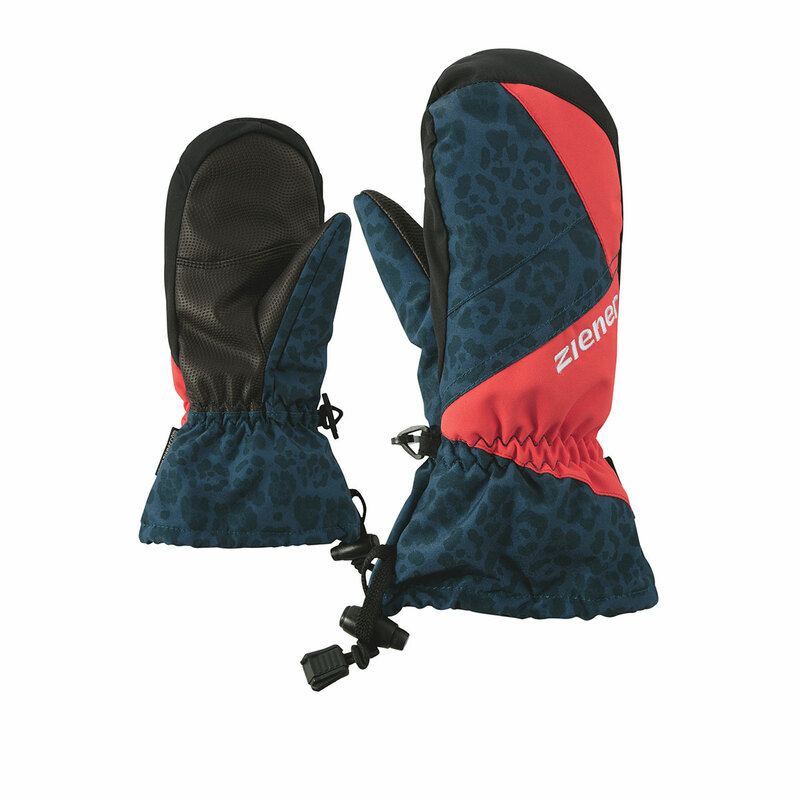 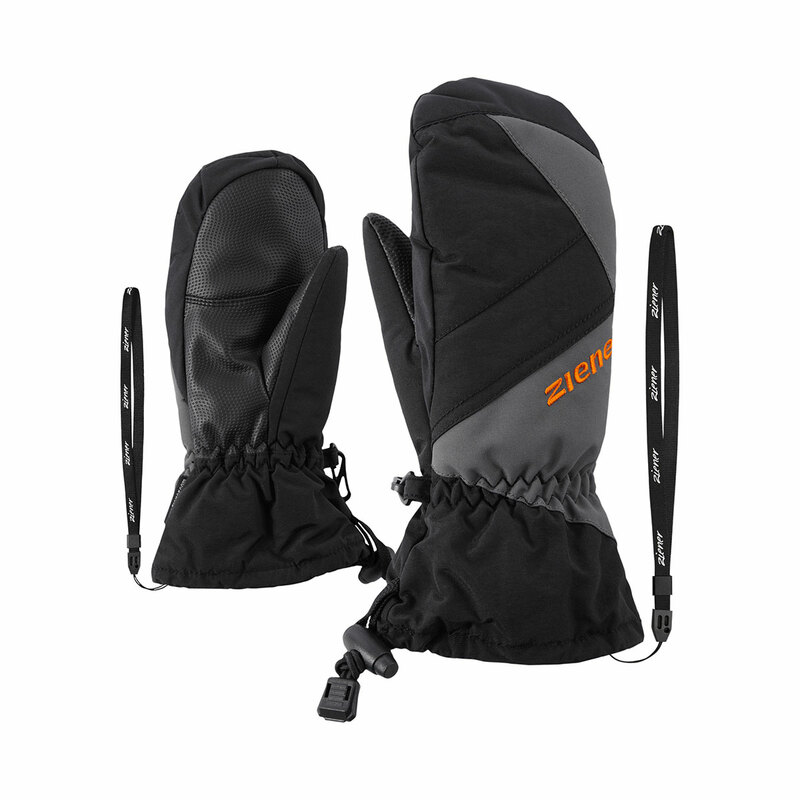 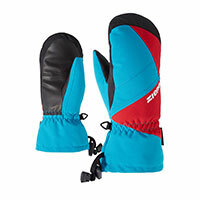 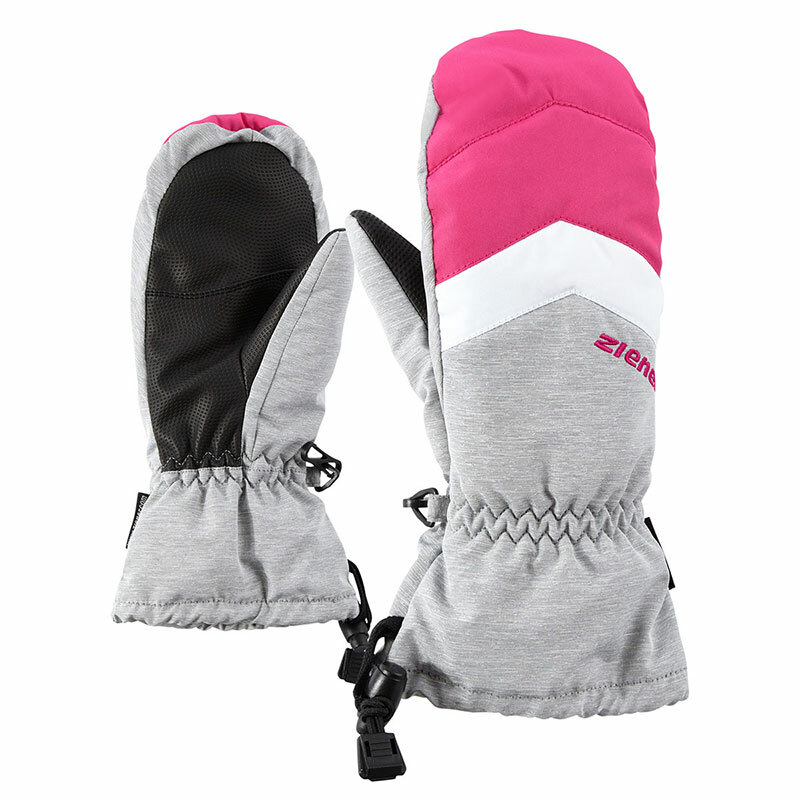 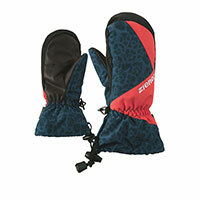 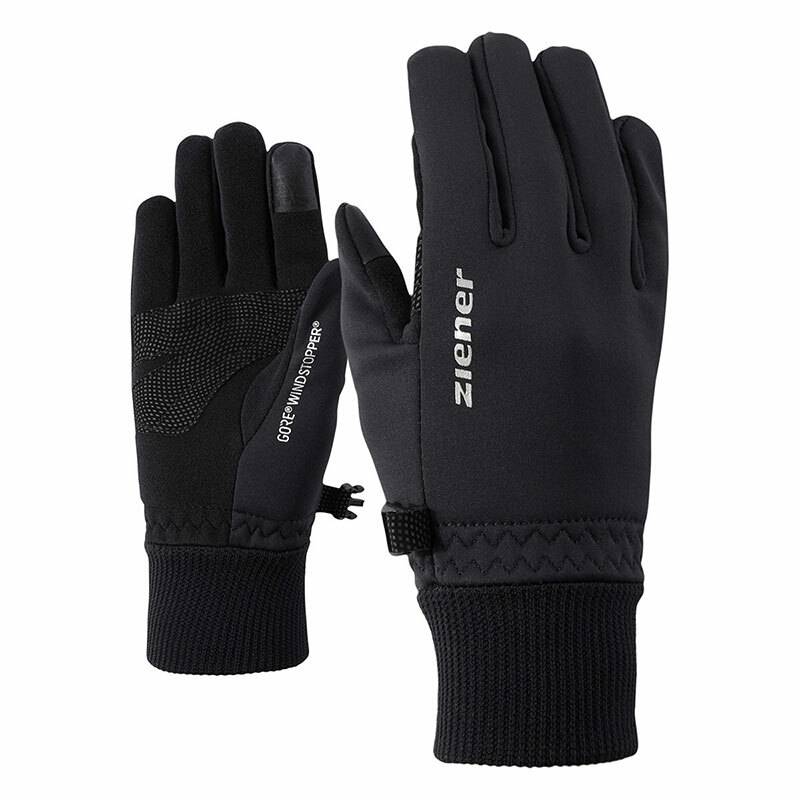 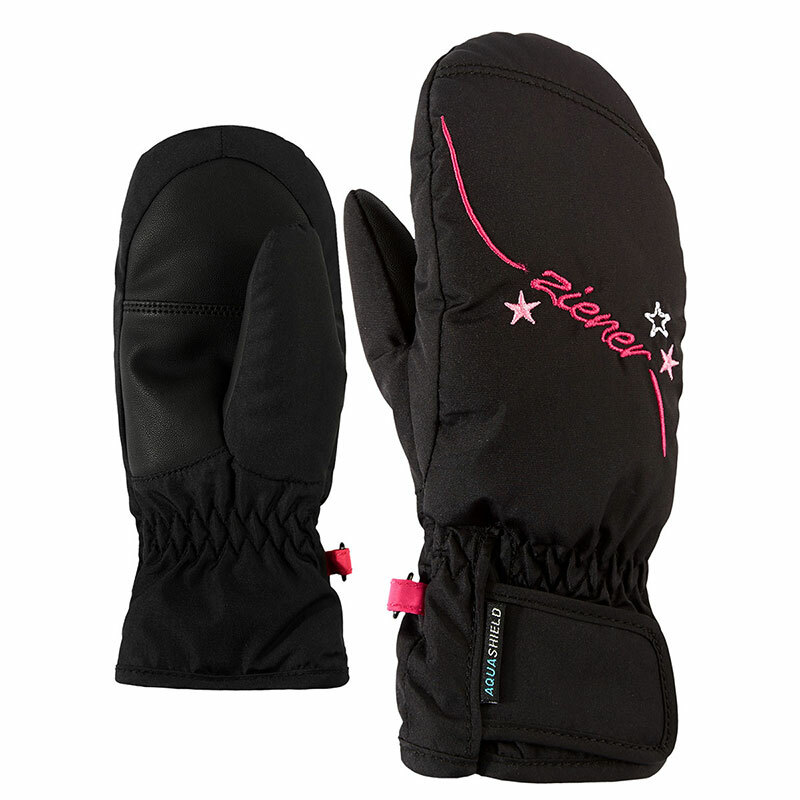 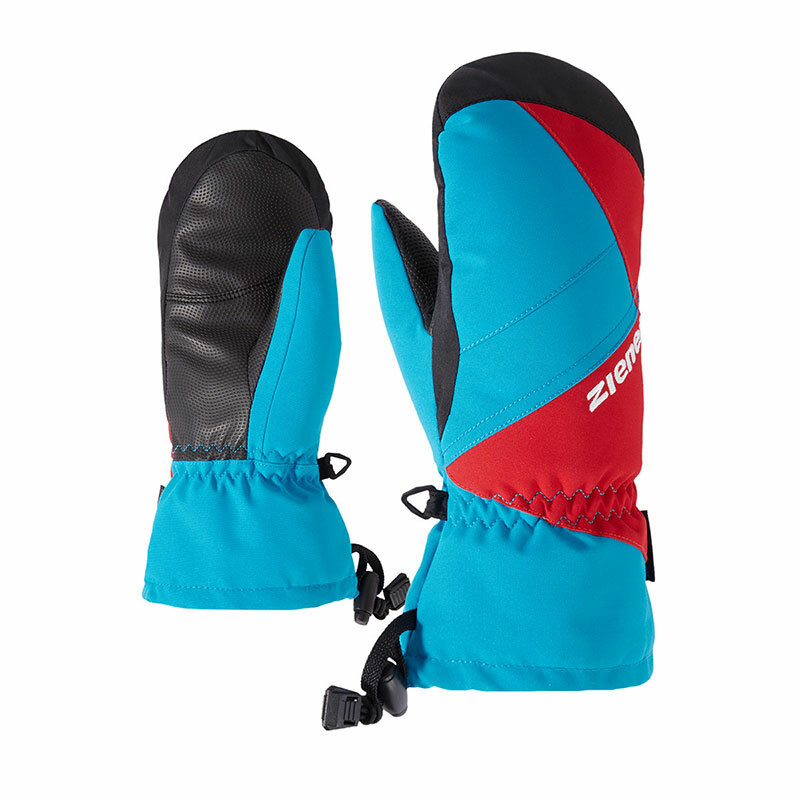 The stylish and warm children’s ski mittens AGILO AS® MITTEN JUNIOR with asymmetric design elements and prints on the backs have the water- and windproof ZIENER AQUASHIELD® membrane to ensure a warm, dry climate inside the gloves. 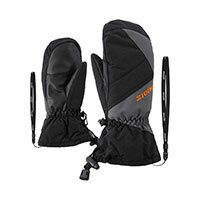 The sturdy materials are guaranteed to stand up to use by children and are long-lasting. 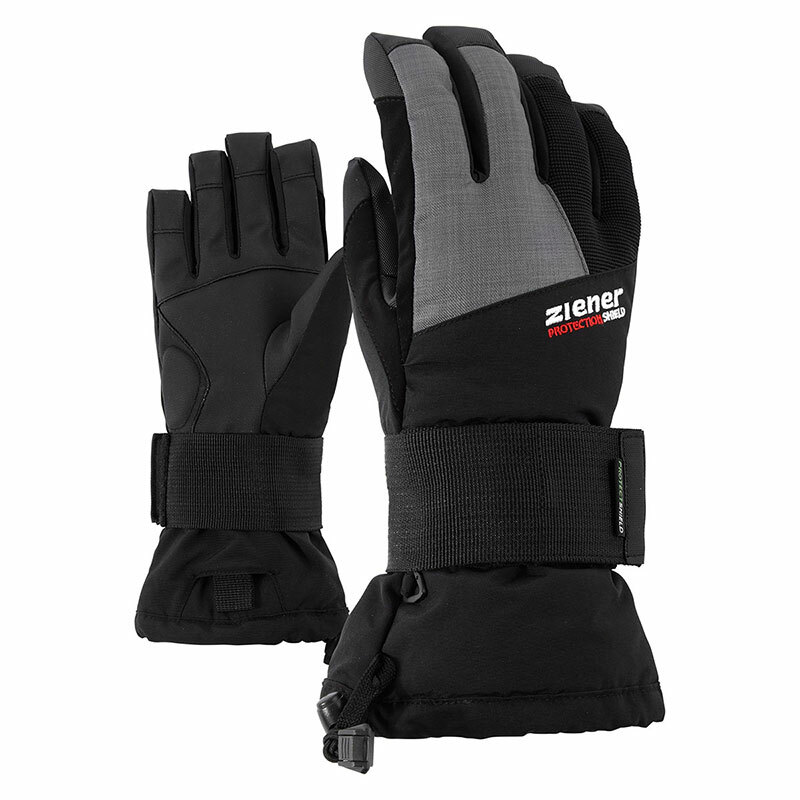 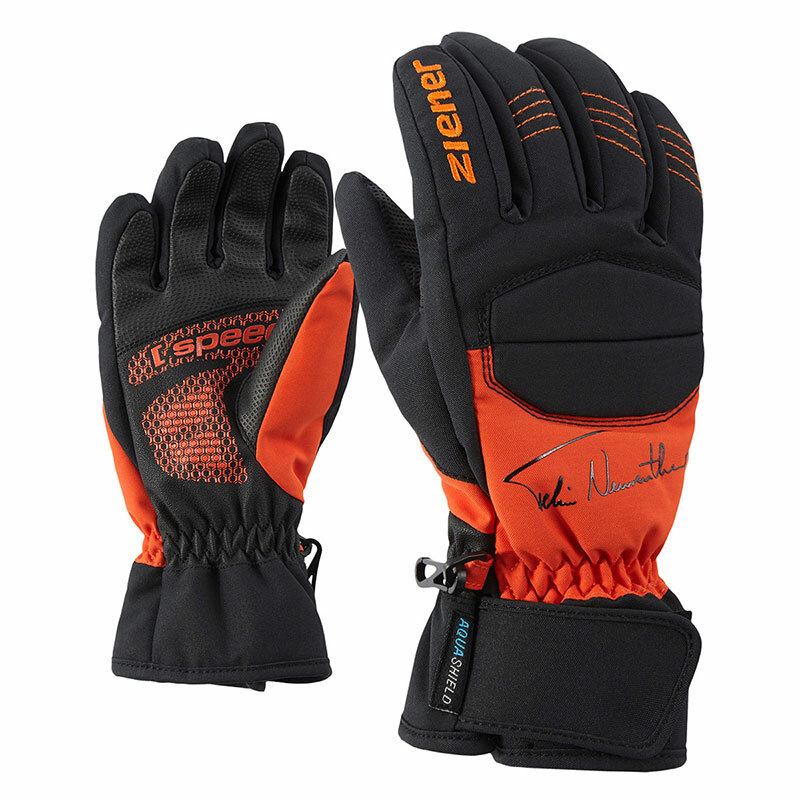 The long cuffs with cord-lock closings can be easily secured to sleeves using just one hand. 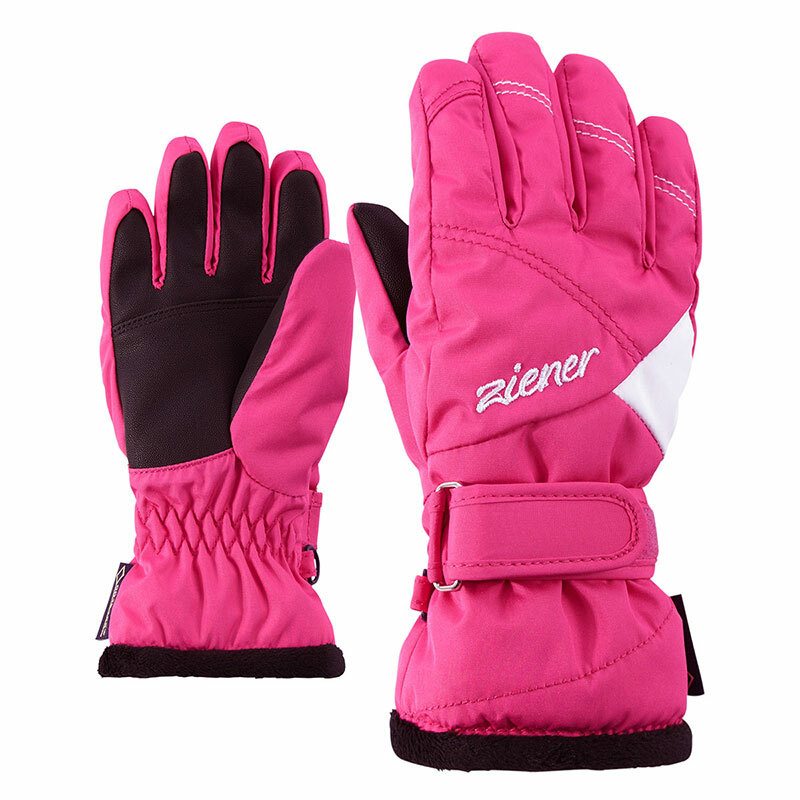 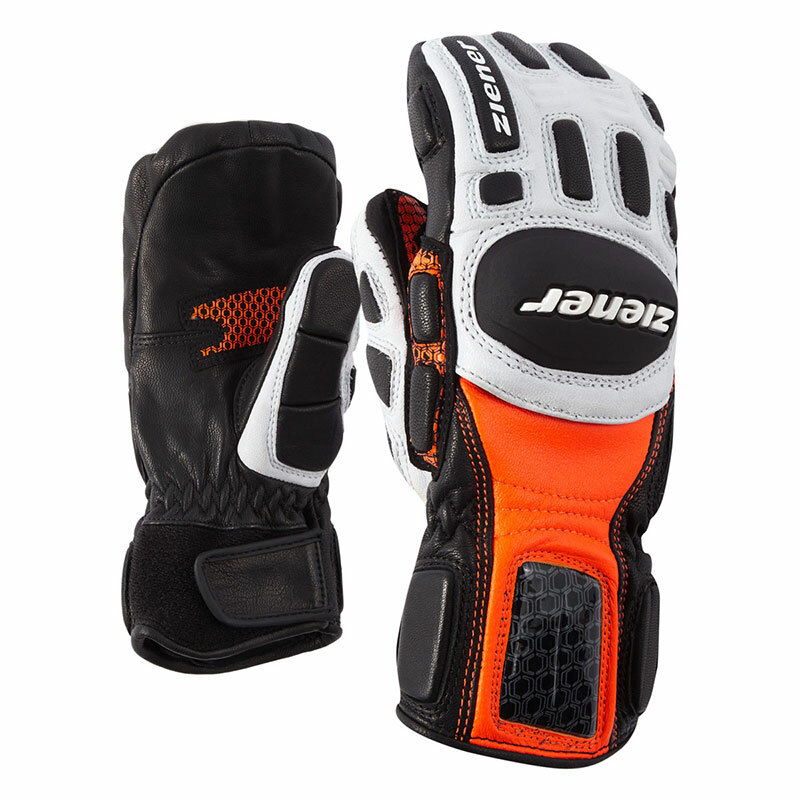 The carefully chosen glove materials go perfectly with the garment and hat collection.